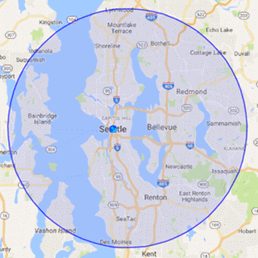 After water has invaded your property, homeowners can call the water damage Pacific team at 911 Restoration of Seattle any time, day or night, and repair workers will arrive within 45 minutes or less, ready to get to work. 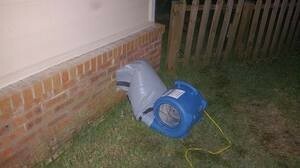 It is very important that all moisture is removed from the property in a short amount of time. We keep our office available 24/7/365, ensuring that you never have to wait for help, even if your home is flooded in the middle of the night. When it comes to water damage, decisive action is needed immediately. Our water damage Pacific flood removal staff always implements same day services for all water related circumstances, because we want to give your home and your items the best possible chances of recovery. Contact us today, and we will give you a free home inspection immediately upon arrival to better understand the extent of the damage and start the restoration process. When it comes to a successful flood damage remediation, it is important for homeowners to understand that every hour counts. One of the first thoughts we all have is about how our stuff has been affected. The water damage Pacific leak cleanup agents want to give you some advice on what possessions of yours should be saved and which should be discarded after they have been submerged in water. Our water damage Pacific flood removal specialists will do everything they can to salvage your personal items, but we also have the wherewithal to know what things need to be discarded in order to keep you safe. Call us after your home has been affected by a flood or leak, and our IICRC certified water damage Pacific flood extraction pros will help restore your home, and your stuff. When you work with our water damage Pacific flood removal crew, you will always be greeted with a smiling face and an optimistic disposition. We want you to know that everything is going to be ok, and we are here to make it that way. We will always provide you with the highest degree of customer service, and do whatever we can to calm you down and make you feel at peace with the situation at hand. One of the most overwhelming aspects of the entire process is working with your insurance company. Our water damage Pacific plumbing professionals will file your claim for you, making sure your insurance provider gets all the information needed to get you the best possible coverage. Call our water damage Pacific team with 911 Restoration Seattle when you need help recovering from water-based damage and you can rest assured that you are in good, capable hands today!